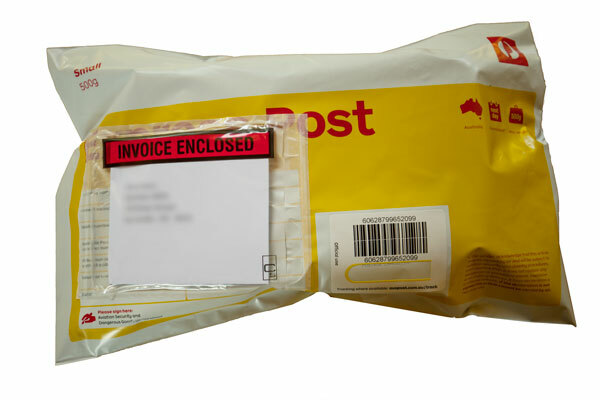 On the outside of your parcel there will be a clear envelope, marked in red: "INVOICE ENCLOSED"
Within Australia, this shipping option is free for all orders greater than $100. This service is used, at your request, if you want your parcel more quickly than "Parcel Post" above. If purchasing one of our rechargeable TENS machines, our circuit boards will recharge the battery no matter the voltage used in your country. However you may need a power plug adaptor. Items can be tracked during their journey to you and you will receive an email containing the tracking number.